Plot: The plot follows the life and times of a band travelling to Singapore on a musical journey. The story is said to have been inspired by the band The Beatles. Watch for: K.B's light comedy and the sensation of M.S.V's music. Oh, and also, The scene where Rajinikanth is challenged to flip his cigarette 10 times or lose a finger. This page hosts a weekly slideshow related to Tamil movies. Each slide includes a picture and some description about that picture. All the slides will have a recurring theme. People looking for actress stills, actress images, actor stills, actor images, movie stills, movie images, and other interesting topics, relevant issues in Tamil cinema will find this page useful. 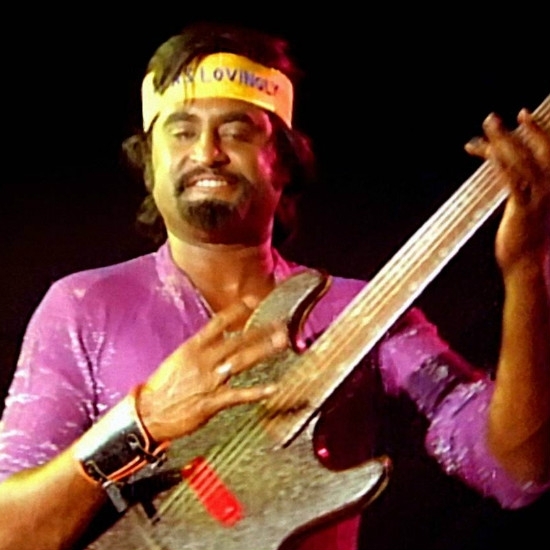 Ninaithale Inikkum | 10 Retro Rajini films that still work.